Lizzie and Ben also have a cool and unique taste in music that i was immediatly drawn to. I have maybe DJ’d close to a thousand weddings none of which had a first dance by Tommy James and The Shondells. I loved their choice…(btw, no Tiffany did not sing this first!!!) Watch….. It really didn’t take long for guests to get dancing and continuing dancing..all night long. Their wedding is a pro disc jockey’s dream where i felt chemistry with virtually every single guest and could dj songs from Adam Ant to Robyn and everything in between. What was also so gratifying is that guests of all ages were dancing together. If you don’ t believe me watch this video! I don’t always play “Shout” because it’s not always called for but I did for this group and am so glad i did because it’s like they had just heard the song for the first time and the song was first released in 1959!! Watch! The Bride and Groom wrote me the nicest email soon after the wedding. Thank you Lizzie and Ben!! Call Dave ASAP! He told us he could read a crowd and he was absolutely right! Most of the guests at my daughter’s wedding were up on their feet dancing and smiling. 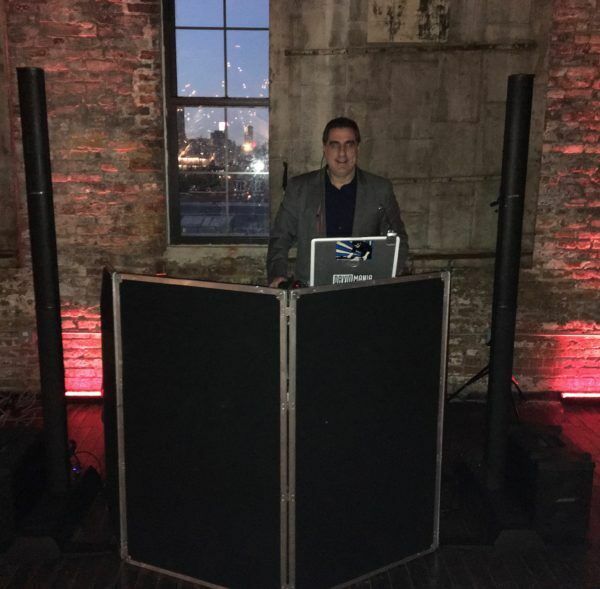 His experience, breadth of music knowledge and amiable personality made him such a quality member of the team my daughter put together for her wedding. As most weddings, we had many age groups, many cultures and personalities and he nailed it. Everyone had such fun. We had some unique additions to add to the night and Dave was gracious and accommodating with sliding these musical additions in effortlessly. From when guests arrived, throughout the ceremony and then throughout the reception, he was just the best!! Thank you! As i mentioned earlier there was a stellar group of vendors on this wedding including Real Food Caterers, Planner Lindsey Mckitterick and of course the venue the Greenpoint Loft!